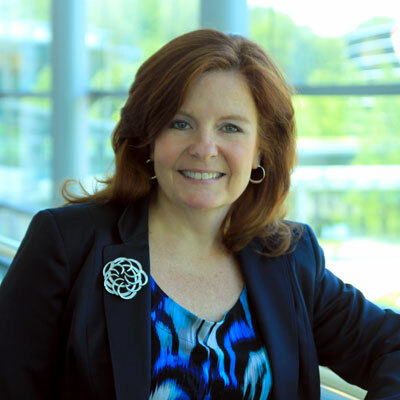 Cindy Hardeman is the Director of Alliances and Channels at SAP NS2™. She joined the company in 2013 to start a channel program for this independent subsidiary of SAP. Cindy's experience focuses on partnering with leaders and teams to facilitate organizational alignment, partner engagement, navigating change and achieving business results. At SAP NS2, she focuses on the deployment of channel initiatives as well as contributing to the development of partner-led business. Through her tenure with the organization, she has successfully increased the reseller business by 150%. Prior to joining NS2, Cindy worked for many top software vendors focused on the public sector community, including Novell, IBM, BEA, Oracle and VMware, where she focused on managing strategic planning and implementation of campaigns and executive communications within the software IT industry. Cindy has a strong belief in the power of effective communication and the use of strategic partnering to deliver customer solutions. She is able to anticipate opportunities and challenges and she works to map and match the partners with the right technology solution to make it a win-win for all parties involved. Our team has helped SAP NS2's channel growth by working closely with our national security community and its partners which rely on NS2 to understand a unique portfolio combination of SAP's analytic platform along with our suite of business applications both in traditional offerings and migration to the cloud. We have done this by embracing a multi-threaded reach through events like the annual Solutions Summit, industry days and social media engagement. We have introduced a new managed service offering in the cloud through our partners which has enabled them to grow their SAP revenues by more than 50%. Cindy's goal is to build and enable a set of go-to partners, who by working with SAP NS2, will be able to provide the critical applications and solutions our national security community needs to support our nation's mission.. This community relies on vendors and partners to bring the most innovative and robust solutions to their mission in real-time. We want to work closely with our partners to develop a true secure offering that meets their mission needs today. Cindy is proud to be involved in the NS2 Serves program which was started by SAP in 2013. With Boots-To-Suits as the organization's motto, the NS2 Serves program offers training and employment assistance to recently returning veterans who have served our country, helping these deserving vets get the education they need to find employment in high-tech careers. Cindy helps to promote the program to industry vendors and partners, who together with NS2 Serves, are honored to have graduated more than 168 veterans in just four years. Cindy admires Condoleezza Rice for speaking the truth, doing her homework, knowing who she is and making a difference! Ms. Rice stands up for diversity in both her personal and professional life. Favorite Condoleezza Rice Quote: "Prejudice and bigotry are brought down...by the sheer force of determination of individuals to succeed and the refusal of a human being to let prejudice define the parameters of the possible." Cindy believes that this is what women have to remember as this applies to us in the business community as much as it does in our personal lives. Cindy would advise her 16-year-old self: To believe YOU CAN, avoid self-doubt, and follow your moral compass always! Obtaining a college degree does not necessarily define you or set you on the path to success. Rather it's what you already have inside and what you learn from those around you that will lead to your most significant accomplishments. It's your faith in yourself and your drive to do the right things for your family, community, and business that will help you truly achieve. I would like to get better with all forms of social media as it changes so rapidly and delivers an entire new set of capabilities! Today's technology lets us take a campaign from inception to release in 24 hours. This used to take us months of planning gathering facts, but all those facts are at our fingertips with the touch of a button NOW! Cindy's favorite read over the past year was "To Kill A Mocking Bird" because, she says, "It's just the best darn book ever!" Told through a child's point of view, the story's timeless lessons on racial prejudice and injustice still resonate today, and Cindy has reread the book often during the many years since its publication.